Neuroscientists still have a great deal to learn about the human brain. 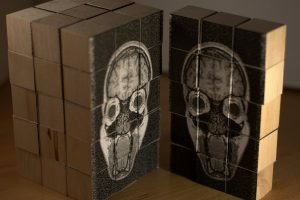 One recent MRI study sheds some light, finding that a certain kind of storytelling stimulates enormous activity across broad swaths of the brain. The takeaway is obvious: you should be listening to even more podcasts. Below is a transcript of the episode, modified for your reading pleasure. For more information on the people and ideas in the episode, see the links at the bottom of this post, as well as credits for the music in the episode. Let me warn you right off the bat: while today’s episode of Freakonomics Radio is a regular, brand-new episode, it’s also a fund-raiser; one of those episodes where we ask you to send money to WNYC, the public-radio station that produces our show. We’ll talk about that more later, but if you just want to get it out of the way now, all you’ve got to do is click here. Or you can text the word “freak” to the number 698-66, and they’ll text you back a donation link. In either case, you’ll find all kinds of Freakonomics Radio swag available only to donors of this show … Thanks in advance. Now, moving on. As you surely know, there’s a lot of amazing research going on these days into the human brain and a lot of amazing brain researchers. Jack GALLANT: Hi, this is Jack Gallant. So why’d we choose Jack Gallant from U.C. Berkeley to speak with? I could pretend it’s just because he’s very good at what he does, and very versatile. GALLANT: I have done everything. I mean, I’ve done computer science, I’ve done psychology, I’ve done neurophysiology. So I call myself a computational and cognitive neuroscientist. And all that would be true. But that’s not why we chose Jack Gallant. We chose Jack Gallant because – well, because, he’s on our team. Even if he didn’t set out to be. And what team is that, you ask? It’s Team Podcast. In his lab at Berkeley, Jack Gallant stuck research subjects in an fMRI machine – that stands for functional magnetic resonance imaging — and had them listen to podcasts. GALLANT: We used them because they’re compelling. You pay attention to them, you want to know the resolution to them, they’re very powerful stories. So, on today’s show, we’ll learn some things we didn’t know about how the brain works, especially when it comes to language. GALLANT: The brain areas involved in comprehending the meaning of language, are very, very broadly distributed. And we’ll hear how people are affected by the language in a podcast like, say, Freakonomics Radio. Anders WEISS: I don’t think I would have made the Olympics if I hadn’t listened to that podcast, let’s just put it that way. We’re starting today with Jack Gallant, he is a psychology professor who has his own brain-research lab at Berkeley. DUBNER: Let me ask you an extraordinarily naive question. Let’s pretend we take the brain in its totality as a three-dimensional machine that does all this stuff and is connected to all these things and has a history, too, evolutionarily. If we were to take that machine and turn it into either a pie chart or a graph that’s got 100 percent and it’s got a zero percent, where are we on that graph of truly knowing what’s going on in the brain? Are we above 50 percent yet? GALLANT: That’s the way I think about the problem too. There’s 80 billion neurons in the brain. So here’s the larger context. The brain is a computer, but it’s not like your desktop computer. The brain processes information. It represents information. It represents information about the world and it allows you to interact with the world. So it’s an information-processing device and therefore it’s a computer. But it’s a wet, squishy computer that evolved according to its own principles and its own history, and its operating principles are very, very different from the desktop computer that you have. So a desktop computer is what’s called a von Neumann architecture, where the design of the system is such that the hardware, the transistors, and the software, the program that runs on the hardware, are as independent as they can possibly be. The brain works by very different principles. The brain is essentially just a collection of wires, and everything is just wired to everything else in this big, gigantic, tangled mess. Every neuron is connected to between 1,000 and 10,000 other neurons. There are feed forward and feedback loops. There’s a multiscale organization of the brain, so there are individual neurons. These are organized into local circuits. Those circuits are organized in layers and columns. Those layers and columns are organized in areas, your brain contains — no one’s quite sure, probably somewhere on the order of two to five hundred distinct functional areas. Any given area or piece of the brain has about a 50-percent chance of being connected to every other piece. So it’s a hugely, highly interconnected network. And it takes about 20 minutes or so to grow a new synapse. So as you’re listening to me speak and your thoughts are fleeting from one thing to another, you’re essentially having those different thoughts; those different thoughts are an emergent property of information flowing over this fixed set of wires. So the brain has this dynamical property where information flowing over a fixed set of wires can interact with itself in order to give rise to this new emergent property of thought. And we have no idea how that kind of system works at this point. DUBNER: You described the brain as a mess. If you were to be tasked with redesigning it — let’s say we’ll give you a budget of a couple billion and two and a half years and a staff of 40 — what do you do? What are the most significant differences? GALLANT: That is one of the most entertaining questions I’ve ever heard. GALLANT: I wouldn’t redesign the brain, because I don’t think we have enough information to redesign the brain. DUBNER: Okay, but if I’m going to give you the two and a half billion dollars anyway. GALLANT: Well, I would just use it to do basic neuroscience. DUBNER: What do you want to find out when you say “basic neuroscience”? It’s obviously much less basic than I would imagine. GALLANT: So, in any field of science, including neuroscience, there are sort of two large kinds of problem that can limit your progress. One is how much data you have about the system, and one is what your theory is about the system. Of course, in the end, if you have a complicated problem, you’re limited by both of these things, but any given point in time, one of these is more problematic. And in neuroscience, the real thing that’s limiting our understanding of the brain right now is not theory, it’s data. We have plenty of theories about the brain. The problem is, we can’t constrain any of those theories with data because we don’t have good-enough data. After we collect an enormous data set, then it becomes a sort of modeling-theory/machine-learning problem, to troll through those data and try to understand the basic principles that gave rise to them. DUBNER: I’ve had this totally idiotic theory for about 10 years now that I’m sure is wrong. And it’s not really a theory, it’s more just a metaphor. And I’ve said it to people and it sounds smart, so they always nod, but I want to run it by you, because you’ll be able to prove, I think, how idiotic it is. But I’d like to improve the theory. So I’m coming to you for feedback. DUBNER: When I think of the human today, in 2016, and I think of the stimuli that any given person deals with on a given day — and granted there’s a huge variance if I live in New York City or if I live in, you know, one of any other million places on Earth, and depending on everything: what kind of business, what kind of family, what kind of political structure I mean and so on, there’s obviously a huge variance. But we’re dealing with a whole lot of, 7 billion, pretty similar animals who have this computer in our heads, as you put it. And I always think of that computer as being pretty good and fairly reliable hardware that is relatively old, because it’s been evolving quite slowly for a long time, but that the stimuli that we’re responding to on a given day, which has changed a lot faster than we physiologically evolve — and those stimuli include all kinds of transactions and interactions and responses and behaviors that our ancestors never could have dreamed of — and I sometimes feel as if we’re just trying to run version 18,000,000.424 software on hardware 1.0. And that we do our best to accommodate, but that it’s really hard and that would explain a lot of our biases and heuristics and so on. Not all of which are bad, but would explain why we’re not — I don’t want to say optimal — but why we sometimes don’t act as though the most rational people among us argue we should act. I’m just curious if there’s any merit at all to that metaphor, and assuming not, if you could offer me a better metaphor to impress people with in the future. GALLANT: Well that’s an interesting problem. I guess I would have two things to say about that. First of all, human society has been evolving very rapidly for 50,000 years, since the dawn of agriculture. Everything’s been different since then. Continuously different. The pace of change is maybe accelerating, but things have constantly been different, and we’ve been dealing with these societal changes for that whole time, because evolution has given us a very flexible computer system. We kind of have a fixed brain, but during development, and even when we’re adults, we can learn to flexibly use that system to solve novel problems. That doesn’t say the system can’t be overwhelmed or confused or operate sub-optimally, but it’s a pretty damn flexible system. And I think that’s why humans have managed to push culture much farther than any other animals. Certain species of nonhuman animals have culture in the sense that small groups of them will learn behaviors that they will pass on to their mates and that don’t influence their genetics directly, except perhaps by increasing their fitness. But humans — this is all of human existence is culture at this point, right? Now one more thing I’ll add: remember that in the human brain, the hardware and the software are intimately linked. So the hardware can only run the programs that are conferred by the hardware. It’s very different from your desktop computer. So, if you think about your desktop computer, if you have an Atari 64, you could try to run OS X on it. It wouldn’t work very well. You could maybe hack on the OS X long enough for a few years and get it to limp along on an Atari 64, but it would not behave well. We have in some sense a worse situation, because we have an Atari 64 computer in our head, but it’s running Atari 64 software. We’re just trying to use it to solve modern problems. DUBNER: Okay, so plainly you know a lot about how we use our brains and how the brain works. I do want to hear you talk about vision for a bit. GALLANT: Okay, so vision is a very interesting sense. Humans rely on vision more than any other sense. At the same time, vision seems completely trivial. Because you open up your eyes and see. What’s the problem? Just walk around and do stuff. You play sports. Everything is trivial. It’s trivially easy. So how hard can vision be? Well, it turns out vision is a very, very difficult computational problem. And the reason humans are so good at it is that about a quarter of your brain is solely or largely devoted to vision. In humans, we think there are probably something on the order of 50 to 70 distinct visual areas. Like, there a lot of brain areas devoted to vision that are simply involved with mapping the incoming stimulus that lands on your eyeball into the motor commands you need to move the muscles to, say, pick up an object near you, right? If you think about it, if you look at your desk and there’s a coffee cup, where the coffee cup falls on your eye is completely irrelevant to you. What you care about is where the coffee cup is relative to your hand and how you need to operate the pulleys in your muscles of your arm and your hand to grab the coffee cup. So transforming from this eye-centered coordinate system to this arm-centered coordinate system is a very complicated problem that’s solved completely seamlessly in your brain. So vision is a nice system because we know what it’s trying to do — it’s trying to do vision, right? If you think about looking at the prefrontal cortex of a human, where there are brain areas involved in abstract thought and moral reasoning and planning — I mean we have some vague idea of what they’re trying to do, but it’s very difficult to get a handle on that. Vision is a very solid system and easy to understand. And we share our visual system with a lot of other animals that have very similar visual systems. So as a consequence, scientists have learned an enormous amount about how the visual system is organized in non-human animals over the past 50 years. And that data can be used to help us understand the human neuroimaging data we’re getting from this fairly new technology, MRI, which has really only been around 20 years. So the whole reason everyone uses fMRI today, functional magnetic resonance imaging, the whole reason people use it, is because it replicates the results in vision that we know should be there from animal studies. And that justifies using this MRI method to study other things that are less well understood than vision. Other things like … language. GALLANT: It turns out that language is a very interesting system for two reasons: a) Just like vision, language is hierarchically organized, so when you hear speech, it comes into your cochlea in the form of a sound spectrogram, which is just a sound frequency by time. And then from that sound spectrogram you extract phonemes and morphemes, and you can extract syllables and words and syntax and semantics and narrative. All of that information can be extracted from spoken narrative that you hear. That means since you can think about all of those levels of information, they must be represented somewhere in the brain. So we decided to take the tools that we had developed for vision, and to apply them to language. GALLANT: So our stimuli came from the Moth Radio Hour. And this is essentially stand-up storytelling, right? Professional, semi-professional storytellers get up in front of the audience, and tell stories meant to sort of excite and interest the audience. Kimberly REED: So I get a phone call from my mom and she tells me that my father is about to get about on an emergency life flight from our home in Montana to go to Denver to get an emergency liver transplant. GALLANT: These are largely autobiographical stories about love and loss and redemption. They’re great stories. DUBNER: Did you use them because they’re great, or did you just them because they were stories? GALLANT: We used them because they’re compelling. They’re interesting stories. You pay attention to them. You want to know the resolution to them. They’re very powerful stories. So previous people had used these stories, mainly Uri Hasson at Princeton had started using these stories, and he found that they elicited a large amount of brain activity, because people are paying close attention to the stories. One of the problems you have in MRI experiments is oftentimes they are very boring. If you put somebody in an MRI scanner, which is a very uncomfortable place to be, and then you flash a word at them every five seconds for an hour, they get bored out of their skull. These stories are very interesting. You just lie in the magnet. You listen to these people telling these stories. You get lost in the stories. It’s the best MRI experiment ever. And in fact, this is the only MRI experiment we’ve ever done where we didn’t have to pay people to be in the study. They were just happy to lie there and listen to the stories. And that means you get a lot of signal, and in a regime like fMRI where we’re signal-limited, getting more signal is always more better. It means we’re going to have more information to model the brain. DUBNER: Okay, and the information that you gleaned from this study in order to model the brain — how fruitful is that, really, for you? GALLANT: Oh, the data we got from this experiment is really quite remarkable. I’m now at the point where in order to explain the results, I have to explain the method. Let me tell you how we analyze the data, because that’s important. So people are lying in the magnet. They listen to a couple hours of stories. We measure brain activity. We’re measuring changes in blood flow and blood oxygen at 50,000 or so different locations across the cerebral cortex while they listen to these stories. And the essential problem is to figure out, for each location in the brain that we measured, what information in the stories is driving activity at that location in the brain. Gallant and his colleagues divided the stories into two linguistic categories: syntax, or the grammatical structure; and semantics, or the story’s meaning. GALLANT: So now we can probe each of the locations we measure in the brain to find out if it responds to different kinds of syntax, or if it responds to different kinds of semantics, or both. So this is a data-driven approach, in which each location in the brain will tell us in this procedure which specific kinds of features it prefers. And when you play this game, you find out that, exactly as you’d expect, these very simple features like spectral features and phonemes are represented in the primary auditory cortex, which is the first location in the cortex where auditory information comes from the ears. But they also found something they weren’t expecting. GALLANT: This higher-level semantic information, the meaning of the stories, isn’t really represented in the primary auditory cortex at all; it’s represented further downstream in a large constellation of brain areas that represent different aspects of meaning. And that’s actually the most interesting thing about this study, is the representation of semantics. We have information about the representation of all these different feature spaces, but the one very surprising thing from this study is that semantic information, the meaning of the stories, is represented broadly across much of the brain. All of those various areas of the brain represent different aspects of semantic information, in these really complicated maps that are very, very rich but fairly consistent across different individuals. DUBNER: Okay, here’s my lay interpretation of what you’re saying. Extremely lay. Super lay interpretation would be: podcasts, or radio, make your brain hum with mystery and delight. That’s how I interpreted what you said. GALLANT: They make your brain hum. Whether that humming is mysterious and delightful kind of depends on whether you wanted your brain to hum or not. If you were planning to sleep, that might not be so good. DUBNER: But what I really want to know is how anomalous or how typical is this, I don’t know, cross-network or broad humming in the brain? GALLANT: Well, I have several things to say about this. First of all, it is traditionally thought — the lore in the language sort of world — is that language is very left-lateralized, and very localized, and not largely distributed. And that is true, for production. The key brain nodes you need to produce speech at the sort of after-semantics, the actual translating meaning into speech, those are left-lateralized, and those are bottlenecks, and damage there will cause severe problems with speech production. But remember we’re not doing speech production here, we’re doing speech comprehension. And the brain areas involved in comprehension, comprehending the meaning of language, are very, very broadly distributed. I think more broadly than anyone had expected. So yes, when you’re listening to someone tell an interesting story, an enormous swath of your brain is being activated. For example, imagine I tell you a story about a dog. Well, okay, you know a lot of things about a dog. All of this different information, both the information in the stories and the information that is primed by the stories, the sort of memories that are dredged up by a story, are represented in a constellation of many, many different brain areas. Auditory information tends to be represented in certain locations in the brain and not others. Olfactory information is represented in certain locations in the brain and not others. Mathematical operations tend to occur in certain parts of the brain and not others. And if you’re listening to a story that involves a dog barking and a dog smelling bad and a pack of dogs — a certain number of dogs, like four dogs — then that would activate different brain areas associated with all these different aspects of the stories. DUBNER: I’m guessing you’re not going to want to give me any advice as to how to make this podcast stimulate enormous swaths of the brain, but I would be an idiot to have you on the line and not ask. So, you know, are there words or ideas I should embrace? Should I favor dogs over cats? It sounds like you’re very pro-dog. Should I, for instance, stop using long words like externalities and heterogeneity. Do you have any advice for me, Jack? GALLANT: Well, the underlying subtext of your question is that evoking large amounts of brain activity is good. I have no idea if that’s true, okay, right? Let’s just start there. If you ask me how can I evoke lots of brain activity, I can answer your question. If you ask me, should you, I have no idea. DUBNER: You really don’t have any idea? Alright. I’ll take what you got. How can I? GALLANT: Exactly. If you choose to create a story that elicits as much brain activity as possible — actually you already know how to do this. All journalists know how to do this. There’s an old trope in journalism: if it bleeds, it leads. Because journalists all know that human interest stories, especially involving something nasty, like a violent thing, attract people’s interest. And one of the facts that we know about the brain from the last 10 years or so of MRI, is that not only are there these rich representations of brain activity, but these representations are modulated and actually transformed by what you attend to. So social information is represented in many, many different locations in the brain, and people attend to bad social things that happen. So if you wanted to evoke lots of brain activity, you’d put a murder on the front page. That would attract everyone’s attention and would evoke activity in all of socially related parts of the brain, and you would have your solution. Okay, so here’s what I’ve learned from talking to Jack Gallant. In order to ensure the ongoing success of this podcast, I should probably murder someone, live, on the air. But I’m not willing to do that. Maybe that’s surprising to you – but I am not. So: Plan B? Plan B is much better – it’s simple, it’s less bloody, and it’s not even illegal. All it takes is for you to make a donation to WNYC to help them keep producing Freakonomics Radio. Even though this show attracts great advertisers, to whom we’ve very grateful, the public radio business model also relies heavily on listener donations. So please click here to donate. Or you can text the word “freak” to the number 698-66 and they’ll send you a link to donate and to claim your Freakonomics Radio swag – we’ve got t-shirts, mugs, and our brand-new Freakonomics Radio-logo Titleist golf balls! All of which are only available to donors. So please do this, would you? Now, if I were you, I’d be thinking, “How much money should I donate for a product that I habitually get for free?” That is a great question! A question that a Freakonomics Radio listener named Gil Adler asked himself. Gil ADLER: I decided to apply the economic theory that I’ve learned in Freakonomics and apply it to how much I should donate. So I started with a theory that I would pay $1 per episode. And if I really enjoyed the episode then I would donate extra. And if the episode was below the standards that I had come to expect from Mr. Dubner and Mr. Levitt then I would subtract from that dollar. There was maybe an episode or two where I was so disappointed and so felt taken advantage of for my time where I felt as if I should have been paid to listen to those two episodes. So what number did Adler finally land on? ADLER: Yeah, it comes out to about $238 I believe for all the episodes that were produced at the time I had submitted my worksheet. Personally, I think Gil is being a bit generous. I’m sure there were many more lousy episodes than he’s saying. But we do try hard around here – and we do appreciate the generosity of Gil Adler and the many, many thousands of others who support WNYC. I sure hope that you are one of them. Coming up on Freakonomics Radio, we hear from a bunch of Freakonomics Radio listeners who have used this show to their advantage. David BELL: Honey, what’s the ROI of buying a new mattress? Kelsey WARREN: I was having trouble with deep, complex thinking and this is where your podcast comes in. Anders WEISS: I listened to one probably halfway through and then I stopped. Uh-oh. Guess we need to do better. Anyway, that’s coming up, right after the break. Welcome back to our special fund-raising episode. We already heard from the Berkeley cognitive neuroscientist Jack Gallant about how podcasts affect the brain. We also asked Freakonomics Radio listeners how our podcast specifically has affected their brain or other body parts. Davina BRUNO: Hi, Freakonomics Radio. My name is Davina. I’m from Grenada but I live in Austin, Texas. I was actually really inspired by your “Hidden Side of Online Dating” episode. And I started my own online dating account and actually a few days later I met Phillip, who is on track to become my first and most serious relationship. So it’s crazy for me to think that a podcast may have led to me finding real love. Kelsey WARREN: I was in a car accident in March of 2013. I broke my back, my neck, my femur, punctured a lung, and most dramatically, suffered a trauma called “brain shear.” My brain injury had knocked me back in time. Basically, I thought I was a kid and I acted like one. When I’d progressed closer to normal — I’m 26 years old — I hit a wall. I was having trouble with deep, complex thinking and this is where your podcast comes in. I started listening to Freakonomics and after a few months I developed into a more inquisitive, culturally aware, and thoughtful person. I can talk about anything now with sincere curiosity and patience, very much interested in the “hows” and “whys” that I was oblivious to just a year ago. So, thank you. You’re welcome, Kelsey, and I hope your healing continues. There’s one more Freakonomics Radio listener I’d like you to hear from – a pretty new listener. DUBNER: Hey Anders, it’s Stephen Dubner how’s it going? WEISS: Not too bad, how about yourself? DUBNER: Good. Nice to meet you. WEISS: Nice meeting you too. Anders Weiss is a 23-year-old athlete; his sport is rowing. DUBNER: When you first started rowing, what were your aspirations? WEISS: I wanted to go to the youth nationals and then get recruited to college. Getting recruited for rowing, it simplifies the process quite a bit. But I wanted to do well at youth nationals. In my senior year, I placed third, so I considered that a success. So I wasn’t the best when I was growing up, but I wasn’t the worst. Weiss got recruited to row at Brown University, in Providence. And he qualified for the international Under-23 competition, the U-23s. DUBNER: And this was how long before the actual 2016 Olympics? WEISS: This was in 2013. WEISS: That’s so far away! No way! WEISS: I would say like 25 percent, because going from collegiate to the senior team, it’s a whole different ball game. And I was never really exposed to that level of speed. You just can’t get exposed to that level of speed before you actually immerse yourself in it. These are guys that are the best in the world. Some of them have been training out after college for four-plus years. A lot of them have Olympic medals. Three of them had Olympic medals. So it was a very strong crew. And so being the young guy who had good success at Brown, I was like, “Alright I’m just going to transfer that here.” That’s not always the case. DUBNER: And let me ask you, what is the average or median age at which rowers peak, would you say? WEISS: I would say around 28, 27. DUBNER: So you are hoping to qualify for the 4 or the 8. You’re one of 26 people with 12 slots, right? Talk about decision time, when the team actually gets chosen and walk me through that. DUBNER: How did you respond? Internally and externally? WEISS: I was angry. I was very angry, but you can’t blame the coaches. Of course they’re trying to make the fastest boat and if they don’t see you being the fastest person, then that’s the way life goes. Now Weiss was facing a long, sad drive home to Rhode Island from the Olympic training camp in Princeton. WEISS: I was so upset. I said to myself, “I can’t spend 4.5 hours listening to Bieber or Taylor Swift or something like that.” I needed something to take my mind off rowing. DUBNER: Had you ever listened to a podcast? WEISS: I listened to one probably halfway through and then I stopped. DUBNER: And then what made you end up listening to a Freakonomics Radio show on that very happy trip back to Rhode Island? DUBNER: What was the name of the episode, do you know? DUBNER: And why’d you pick that title? WEISS: Because everyone wants to be more productive. We released that “How to Be More Productive” episode in April, as part of what we called Self-Improvement Month. It featured an interview with the writer Charles Duhigg. WEISS: And growing up I was always decently athletic and I always had pretty good success in athletics and the same was true in high school and college. And so I put in the work. You can’t not put in the work, especially at Brown. So I was like, “Okay, I put in the work, but at the end of the day, all my success is going to be attributed to how good my body is for rowing.” And after that podcast, I sort of had to do a 180 on that. It was more of a, “Okay, my talent’s definitely helping me, but my total success is going to be determined by how much work I put in.” And there was also another podcast there, I think it was “How to be Great at Anything,” how much dedicated practice I was putting in. DUBNER: It sounds like you were a hard worker, but if I’m reading you correctly it sounds like you’re saying even though you worked hard, a) you could work harder and b) you could work more strategically or engage in what we call deliberate practice. Was that kind of the light bulb that went off for you, which is, “Oh yeah, it’s not like I’m lazy, but I can get a lot more out of me than I have been in the past”? WEISS: Yeah. So rowing is basically steady-state. That’s how we train. It’s a lot of steady state. And if you sort of let your mind wander during all those hours instead of “Okay, this is what I need to do to fix my technique or keep you engaged,” you can row the hours and you can get the heart rate that you need to be but you’re not gonna make the technical changes that you need to. And it’s not like I was zoning out but I was like, “Okay, this technical change isn’t working out very well, I’m going to just go back to steady state press,” instead of, “All right, I’m going to practice this over and over for the 2 hours I’m on the water now and then the 2 hours I’m on the water in the afternoon, I’m going to nail it down. No matter how long it takes.” And so it’s sort of a shift away from doing the steady state to do the steady state; you know, get the heart rate to doing the steady state to improve; to put in the hours that would actually improve my speed instead of relying on how well my body was made to row. By the time he got home to Rhode Island, having failed to qualify for the 2016 Olympics in the four-man boat or the eight-man boat, Anders Weiss was already thinking about one more option. He could try to qualify for the two-man boat, the coxless pair. In that event, the coaches don’t decide who qualifies; it’s only your time that matters. He got hold of a potential partner, a veteran U.S. rower named Nareg Guregian. WEISS: The partner I got, Nareg, he is a very hard worker. And he drew up our training plan and I was like, “Okay, let’s do this. This is what’s going make us win the trials.” And I think if it was before the podcast, it would have been, “Okay, I’ll do this work, but I don’t know if it’s going to make us faster. I think it’s really decided by our body build and how talented we are at rowing.” And so I attacked the workouts that we had with a little more purpose. Maybe I would have pulled the same splits on the ERG but the technical changes I made on the water with this new mindset stuck. And we got so much faster as a result of that — that mentality shift. Instead of working hard to work hard, you’re working hard to win a race. DUBNER: And did you tell Nareg that you had a new approach? WEISS: Yeah, pretty much that. He would have made fun of me for a bit. DUBNER: I’m just curious, did you come to feel at some point in this process that “Man, I really have just been relying on my genes,” and not really, I don’t know if “trying” is the right word, but did you feel that you’d been failing to tap a lot of your potential? WEISS: Yes. I could even see that with just how much speed the pair that we were rowing got. We were pretty quick to start with, but we really started improving our speed, our top end speed quite a bit throughout the months we had together. Weiss and Guregian had to go to a series of time trials. Finally, the moment of truth: the Olympic qualifying race, with only one team going to Rio to represent the United States. WEISS: We got to the starting line. I think my heart rate there was 160, 165 just before the start. And we had a very good start and we did what we did best and kept pushing. There was a pair from a club in Pennsylvania, from Philadelphia that was incredibly fast and we knew they were gonna be our main competition because they beat us in the time trial. DUBNER: There were how many boats in the final? WEISS: There were four. And so, we were feeling pretty confident, but that other boat was always, “How fast are they gonna be?” And they beat us in the time trials, so anything could happen. One of those things where it’s do or die. And so we got to the 1,000 meter mark, we were a little bit ahead of them. I wanted to win very badly, but Nareg, the pair partner that chose me, he’s been training for 6 years and so I said, “You know, I’ve got to do it for him.” And that was sort of that extra kick. To keep going even when I couldn’t really see that well and my body was saying please stop please stop please stop, but to be the best and to eventually beat the best, you have to go to those lengths. DUBNER: Can you just talk about, is this a commonly known danger among rowers? Is it that your body is doing such crazy stuff that you literally lose your sight temporarily? WEISS: I wouldn’t say it’s very common, but it has happened before and it usually happens at the Olympics or leading up to the Olympics or world championships. You have people that go crazy, that want to win and will do anything to win. And that’s the lengths they need to go to to win. That’s the first time it ever happened to me. It’s not gonna be my last. DUBNER: So what did it actually look like from your perspective then? DUBNER: How long did it last? WEISS: I think it was like, 300-400 meters to go. Which is I think a little over a minute. And then once we stopped, I probably had my vision back 15-20 seconds afterwards, after I could just lay back in the boat and do nothing. DUBNER: Were you worried for a moment that you had somehow lost your eyesight for real? Or did you just know that you would be okay? WEISS: At that point I was like, “Yeah! We’re going to the Olympics!” I remember when I was a little kid, watching the Olympics and being like, “Oh, I want to go to that. I want to be an athlete. I want to do that.” And I hadn’t picked up rowing at that time, so I was looking at basketball and all those other sports. And it was one of those things where it’s just so cool. You’re gonna be on the biggest stage in the world doing what you probably do best against people who are the best in the world. And so when I crossed that line, I gave a little shout and then I sort of just passed out a little bit. DUBNER: Alright, so you’re realizing now you’re going to the Olympics. You’re going to Rio. Me, I’m listening to your story. A little selfishly I’m thinking if I understand your story correctly — because Freakonomics Radio played this role in reorienting you and getting you to take up coxless pair, go on the two-man boat, and eventually make the Olympics, if I’m reading it correctly, I think our role in this means that essentially I’m also an Olympian. Would you say that’s fair? WEISS: I would definitely agree with that. I don’t think I would have made the Olympics if I hadn’t listened to that podcast, let’s just put it that way. Anders Weiss and his partner Nareg Guregian didn’t medal in the Rio Olympics but they did pretty well, making it to one of the final heats. And you should definitely keep an eye out for Weiss in the 2020 Olympics. Now, we can’t promise this Olympian level of success for everyone who listens to Freakonomics Radio, but I do hope that listening to this show over time has made you at least a little bit more curious, a bit more optimistic perhaps, or more skeptical, or maybe it’s just helped you pass the time in a slightly more meaningful way. If so, do me a favor and make a donation to WNYC so that we can keep producing this show. Thanks. Coming up next week on Freakonomics Radio. Is innovation overrated? Should we be spending more time, and more money, on … maintenance? Larry SUMMERS: People always think more about how new ground can be broken than they think about how existing institutions can be sustained or existing facilities can be maintained. In praise of maintenance — that’s next time, on Freakonomics Radio. Freakonomics Radio is produced by WNYC Studios and Dubner Productions. This episode was produced by Caitlin Pierce. Our staff also includes Jay Cowit, Merritt Jacob, Christopher Werth, Greg Rosalsky, Noah Kernis, Alison Hockenberry, Emma Morgenstern, and Harry Huggins. You can subscribe to this podcast on iTunes or wherever else you get your podcasts. If you want more Freakonomics Radio, check out our archive, where we have every past episode. And you can also find us on Twitter and Facebook. Jack Gallant, Professor at the University of California-Berkeley. “Natural Speech Reveals the Semantic Maps that Tile Human Cerebral Cortex” by Jack Gallant, et al. « Previous PostIs It Okay for Restaurants to Racially Profile Their Employees?